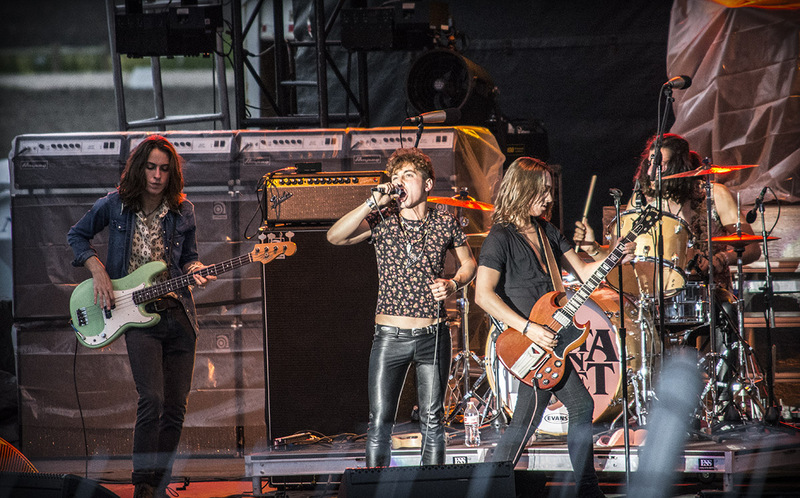 Throwback band Greta Van Fleet shot to the near top of the charts with their recent album Anthem of the Peaceful Army. But will their success continue? Michigan retro-rockers Greta Van Fleet took the world by storm with the release their debut album Anthem of the Peaceful Army, which peaked at number three on the US Billboard 200 chart and number one on the US Top Rock Albums. In a music climate that seems to be heading in the opposite direction with the prevalence of trap and hip-hop music, it’s rather odd such a throwback band would garner so much success. Maybe music listeners have been wanting some throwback jams, or it could be a sign that rock music is on an upsurge of popularity. Truthfully, the band does essentially sound like a Led Zeppelin carbon copy. The singer sounds eerily like Robert Plant, the instrumentals sound like they could be long lost Led Zeppelin b-sides, and the lyrics deal with similar subject matters: this is the exact problem with the band. Greta Van Fleet is exactly what rock music doesn’t need. A cheesy, retro band that appeals only to dads who miss the good ole’ days and the few youngsters out there who idolize Led Zeppelin as rock stars of a regrettably bygone age. If rock music ever wants to have the predominance it once had in popular music, it needs to continue to innovate and take risks, not stick to a formula created over 40 years ago. Most revival scenes tend to peter out, with the bands of the time either transitioning to some mutated version of themselves in an effort to stay relevant or sticking to their formula and becoming irrelevant. Even so, with the aforementioned revival movements, at the very least something was modernized about the sound. For example, one of the biggest bands of the the post-punk revival of the early 2000’s, the Killers, synthesized the sounds of pop and modern indie rock into their early albums. With Greta Van Fleet, nothing is being done, at all, to differentiate themselves from their influences. This isn’t to say that all throwback bands are inherently passé, but the extent that Greta Van Fleet attempts to emulate the 70’s is just painful. Of course, with the advent of Greta Van Fleet, it’s likely we’re going to see a wave of similarly 1970’s inspired bands, each one more generic and immaterial than the next. This cycle is just going to continue until every last drop of the very spirit and sounds that inspired the movement have been wrung out like an old, overused sponge. Rolling Stone ran an article with a headline proclaiming Greta Van Fleet are determined to make rock music relevant again, but it’s unlikely they will. Let’s keep what died dead. If you want to listen to Led Zeppelin, listen to Led Zeppelin. The popularity and success of Greta Van Fleet is pretty much nothing more than a corporate sponsored ploy to make cash off the zeitgeist of 40 years ago, and the band will likely fade into obscurity as people grow weary of their tried and tired sound. Well said. in addition to being cheesy, they have none of the wizardry and transcendent genius that the likes of Jimmy Page John Bonham and Robert plant. Brought to the table they were true innovators they had swag they had style they had grace these guys seem like karaoke rejects in drag. There is no inspiration or true raw energy they’re playing.